At approximately 2AM server time Tuesday Morning (-7 GMT), both the game server and website will go into a planned shutdown for the duration of the database merge and website changes. We cannot be sure exactly how long the merge will take, but assume it will be a good 2-3 hours. Be sure to connect to our Discord server for socialization and news in the meantime. 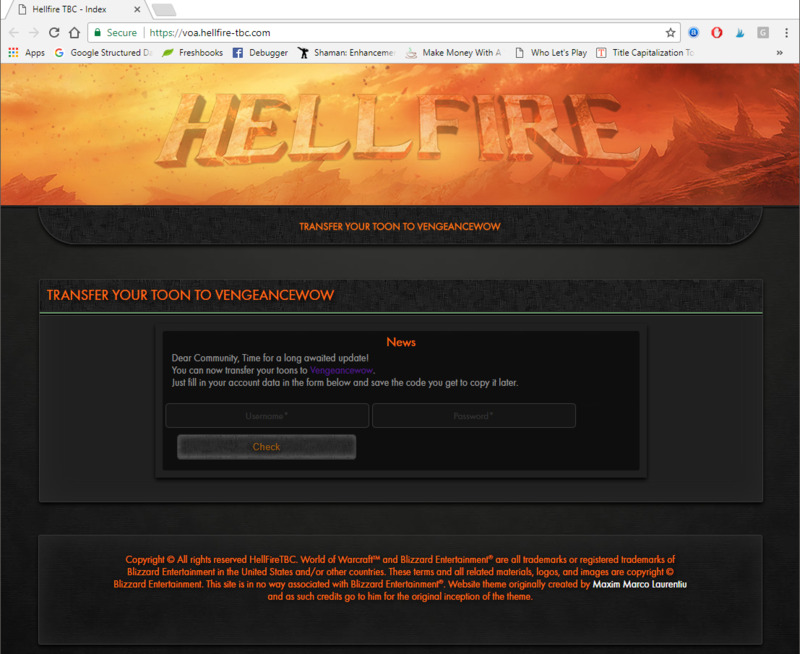 If you have not done so already, go to Hellfire's website, input your credentials and obtain your access key at https://voa.hellfire-tbc.com/. Once Vengeance's website is accessable again, log in (or create) your Vengeance user account. 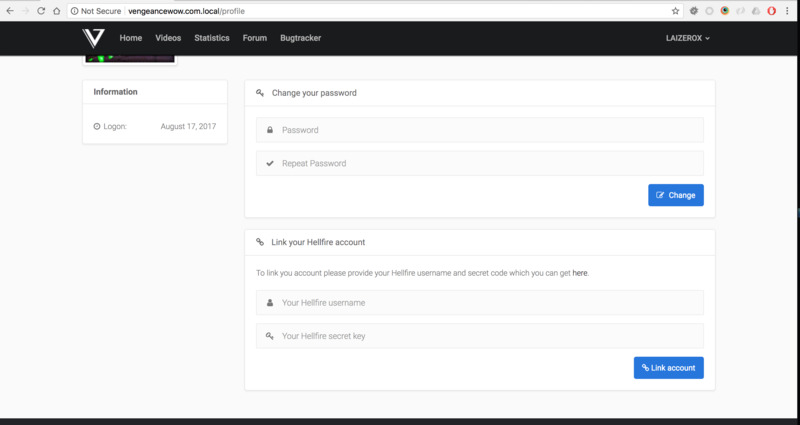 Once you have logged into an authenticated account, under your profile you will see an option to input your username and secret key that you obtained from Hellfire's website. LAST IMPORTANT STUFF: Please ensure that you change your realmlist.wtf and CLEAR YOUR CACHE before playing on Vengeance. This will prevent a lot of weird bugs. And that should be all there is to it! We'll see you in game. Note: If you're having difficulty with obtaining a verification email, please join discord and ping @gm for help. Please use Discord for support. Locking.